Latest Update: The National Common Entrance Examination (NCEE) slated to hold on the 13th April 2019 has been postponed by the Federal Government. The new date for the NCEE exam is 27th April, 2019. The National Common Entrance Examination (NCEE) timetable for candidates seeking admission into JSS 1 of Federal Unity Schools in Nigeria. 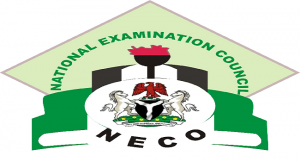 See the Common Entrance Examination timetable released by NECO below. Tuition and Fee Schedule of Unity Schools in Nigeria. List of Federal Government Unity Schools in Nigeria. Comment Text*please how can I get past questions of National Common Entrance Examination? When is the Ncee examination result 2018/2019 going to be out? to be second text for jss 1 because I missed the first one.